From using solar panels to create clean renewable energy to using recycled rainwater to create our elephant pools, sustainability on the Ban Ton Sae site is one of the ways STEF will become a sustainable environmentally friendly haven for our elephants and guests to enjoy. One of the ways STEF will ensure sustainability is to grow the food for the elephants on site. An area of land has already been sculpted for this purpose and as you can see from the picture (left), levels have been carved into the earth to create giant steps where rows of crops can grow and be rotated. 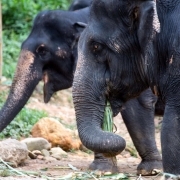 Deforestation is the biggest threat to the Asian elephant in the wild. 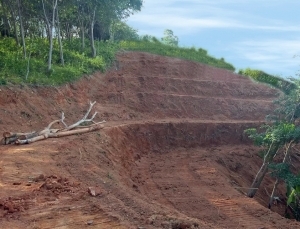 Plantations for crops such as rubber and palm oil (products used widely in western countries) are one of the causes for the destruction of elephant habitats. 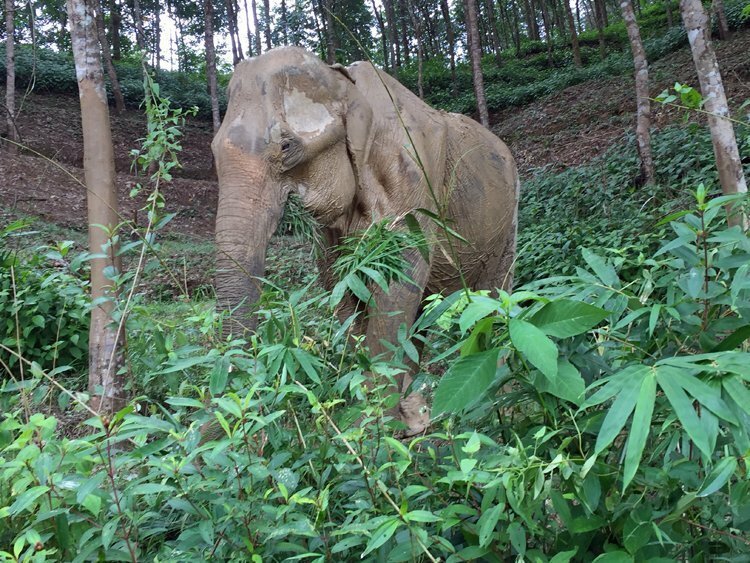 We have cleared all rubber trees from our site and by growing our own food for the elephants we can ensure this land is reused sustainably and no areas of primary forest are cut down to provide the crops. them on site but the elephants will also be taken into the forest to forage for themselves. Elephants need a range of foods to meet their dietary requirements and foraging encourages natural behaviours. 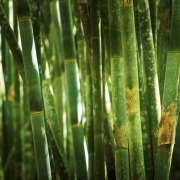 Why bamboo? Well bamboo (right) is classified as a grass, is extremely strong (big species are often seen being used as scaffolding on construction sites), and it is said to be the fastest growing plant on earth (some species grow up to 0.5m per day). It is sometimes called a ‘pioneer species’, as it creates humus-rich soils and so is of great value in forest habitats. 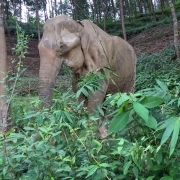 Elephants are very fond of bamboo shoots, seedlings and leaves. 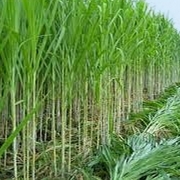 Elephant grass (above left) is a perennial forage crop that also has a fast growth rate, high productivity and has good nutritive value. It is a very good grass for cut and carry systems – and elephants, who do not just eat what is available, but actively choose what to eat, love it as you can see. 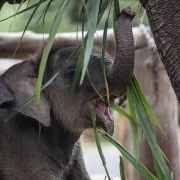 If you would like to help us feed our elephants and support sustainable reforestation you can sponsor a tree or area of grazing turf on our website by just clicking here.